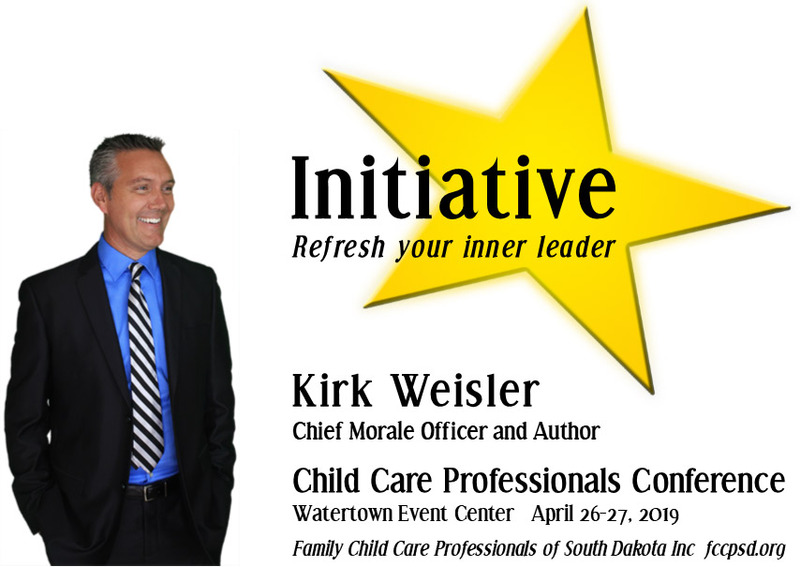 2019 Conference with Kirk Weisler - Family Child Care Professionals of South Dakota, Inc.
Visit the site to learn about the Outdoor Campus and other educational opportunities! Play therapy for children with behavior challenges, counseling for women, and consultation for child care programs to improve quality and promote positive behaviors of the children in care in Sioux Falls. Initiative Conference is the amazing annual event for child care professionals, educators, and parents of young children. Focused on child development, activities, infant toddler needs, media, marketing, entrepreneurship, tech, social impact, leadership and more, Initiative is two days of impactful speakers, actionable programming, and interactive activities. Chief Morale Officer Kirk Weisler has shared the everyday things leaders can do to positively influence, nurture, and build super COOL cultures and high-performance teams to over 50,000 leaders the world over. He will present Keynote addresses both days and a workshop on Saturday. In addition, he will present The Dog Poop Initiative Friday Evening. tickets for this presentation may be purchased separately through EventBrite. Boeing Aircraft has used this book in its Sigma Six Lean training program. We have the opportunity to learn about taking Initiative from the author. Take the initiative to positively influence, nurture, and build the teams in your life including your family, your day care families, your work team. Step 1. Click the Button to Pay. Step 2. Click here to register your ticket. Conference Essentials Kit including a program with space for notes, pen and other must-haves! 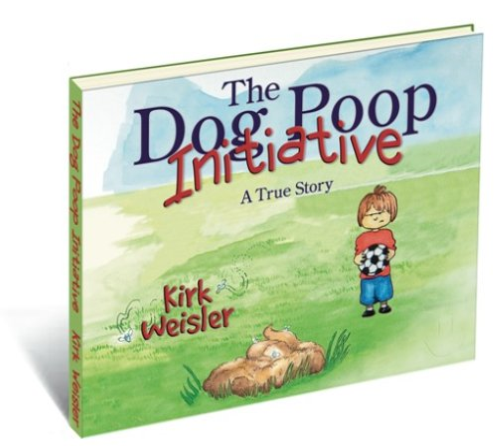 DPI tickets give admission to Kirk Weisler's Friday evening presentation and a copy of his book. This presentation is included FREE with any one or two day ticket purchase. CPR is being offered as an add-on for $36. The class runs from 2:00 to 5:30 on Friday. The Watertown Event Center has you covered all under one roof. Attached to the center is the award-winning Minervas Restaurant with full bar. Minervas offers daily menu item specials and weekly dinner specials. Attached to Minervas is the Ramkota Hotel featuring 101 rooms, indoor swimming pool, and exercise room. Book your room by March 25 to reserve your special 95.99 rate at the Ramkota by calling 605-886-8011 and stating you are booking with Family Child Care Professionals of South Dakota Inc. These rooms are available April 25–28, 2019. Suites are available for a special price of $145.99. Whirlpool Suites and Executive Suite are furnished with a sofa, refrigerator, and microwave. 16.5 state-creditable training hours are offered. There will be a keynote presentation by Kirk Weisler each morning. He will present Friday evening and also will offer a breakout workshop Saturday morning following his Keynote address. The lunch format is a lunch with a presentation, a "Lunch and Learn." These are included in the conference ticket price. Three (3) breakout sessions will run concurrently. There are only 30 Insider tickets available. Paid registrations secure your ticket. When the PayPal button vanishes, all tickets have been sold. Get your ticket early to reserve your spot! VIP Ticket deadline is April 13. Single-day or Two-day tickets are available. Separate admission tickets to the Friday Evening Session are available. Tickets purchased after April 13 will not receive personalized programs or name badges. Programs are not guaranteed. Meals will not be provided for ticket holders after April 23. Tickets are refundable until April 8 less a $15 administration fee. After that they are transferable until April 18. Initiative will be held on Friday, April 26 through Saturday, April 27 at the Watertown Event Center, 1901 9th Ave SW, Watertown, SD 57201. Registration opens at 7 AM and programming runs from 7:45 AM through 5:30 PM on Friday and 7:30 AM through 5:30 PM on Saturday. The Friday evening session runs from 7 PM to approximately 8:30 PM. Breakfast is complimentary through the Ramkota, if you are a registered guest of the hotel. Lunch will be provided for each attendee. An FCCPSD Insider Banquet will be held 5:45–6:45 PM in the Heartland Room. Seating is limited to those holding Insider tickets. Speakers and schedules will be announced January 10. All attendees are invited to watch each keynote address. Please note the best seats for the keynote presentation are reserved for those holding FCCPSD Insider Tickets. We acknowledge, with thanks, the free use of photos from unsplash.com. 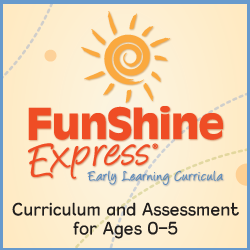 © 2014–2018 Family Child Care Professionals of South Dakota, Inc. All rights reserved.